RDF Matendla School has been engaging actively with its village community on a range of topics. 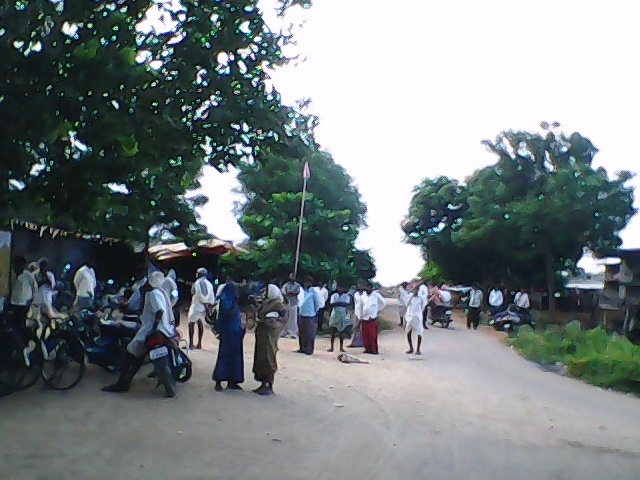 Gram Panchayat elections were recently conducted in all districts. Matendla village recorded a poll rate of 97.5% with 841 out of 863 exercising their right to vote. The school Headmaster credits school students and alumni for motivating parents. Parent meetings were also conducted to explain the power of voting and the role of each individual in a democracy. Parents thereafter used their right to select a good leader for their community. Students in RDF Rollakal School have created a Sanitation Committee for each class, which comprises both boys and girls. The role of the Sanitation Committee is to ensure health and hygiene in the school toilet block and to ensure the school remains clean and green. Each day, the students of the appointed class clean the toilet block. 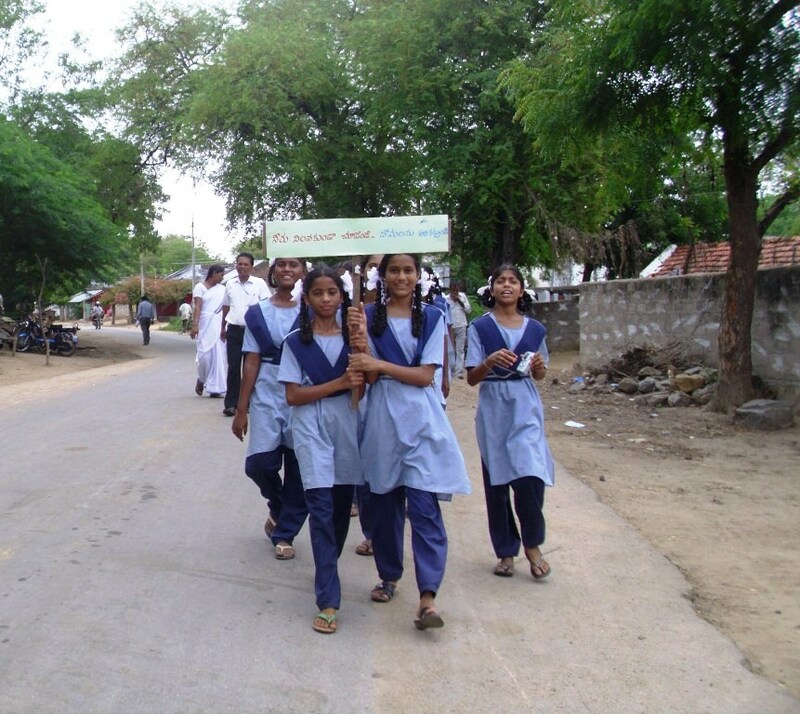 Doing so also helps them learn about good sanitation practices, which they take back home to educate children and adults alike in their villages. It is their way and RDF’s way to contribute to having a clean community and environment – in school, at home & in the villages. Last year, RDF Redlawada School determined to achieve success in Sports & Games and created a goal to reach Mandal level participation. However, they surpassed that goal and reached the Zonal level! Thanks to the support and effort of the Headmaster, the staff, the Physical Education teacher and the students themselves, they were able to achieve this. This is also the very first intra state sporting accomplishment in the history of the school. Kudos to the entire school team and congratulations to the students – G. Sandeep & M. Haresh of Class 6 in Kho-Kho. 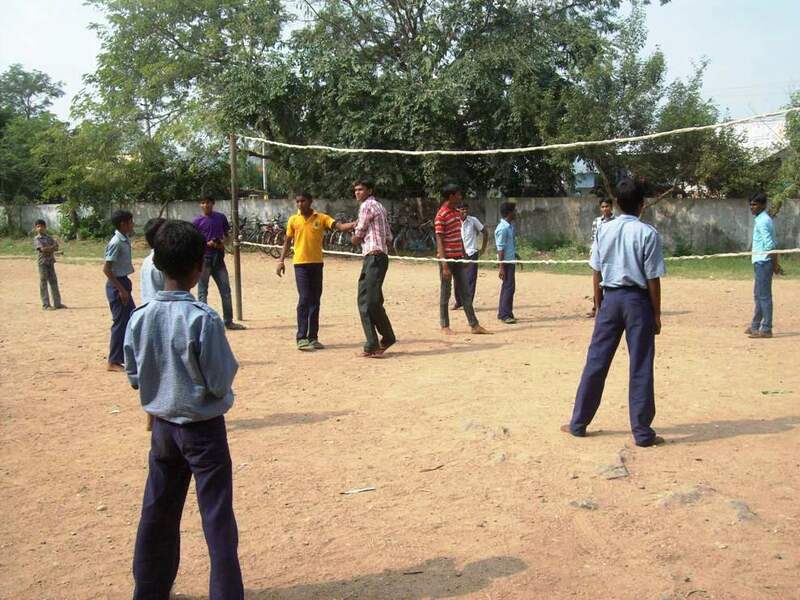 and J. Rakesh & B. Srikanth of Class 8 in Volleyball. Students continue to practice in school and after hours and the school hopes to better this achievement in the coming years. A new construction is being built for the boarding of boys in JC. Previously, two halls from the college building were used as boys hostel. This caused disturbance to the classes as the class rooms and the hostel rooms were adjacent to one another. As Kalleda School shifted their Primary Section to JC, there has been a problem in occupancy of students in the hostel rooms. 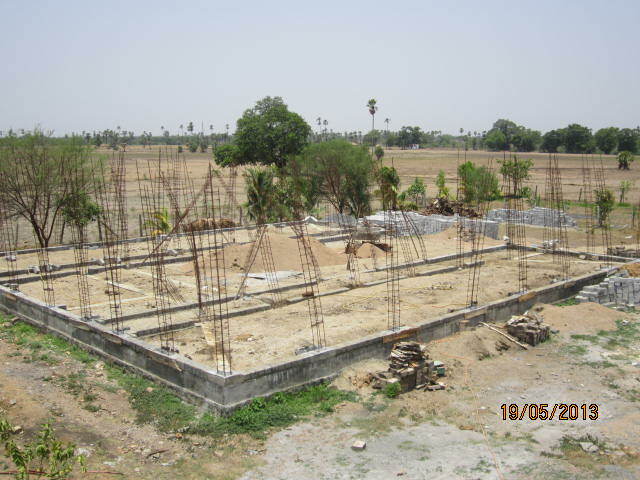 To avoid such problems, a separate hostel building is being built in the college premises which will be completed by the end of September of this year.